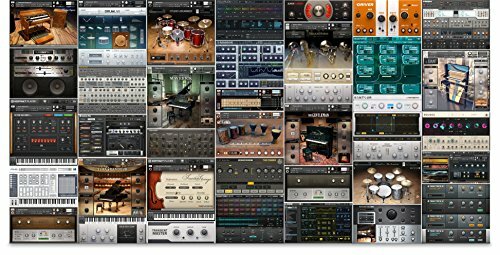 Looking for unique drum kits for your Kontakt sampler? Then you will want to check out Bollywood Maharaja Drums from Beatskillz which is a drum library recorded by some of the top musicians in Bollywood. Right now you can download a free wav files kit and loops from Bollywood Maharaja Drums. While you are there you should also register to download the free Beatfactory Drums VST from Beatskillz with 10 kits from the MPC 2500. The full version of Bollywood Maharaja Drums for Kontakt is $79. with wav files from 1 kit available for free download. Everyone today has the same Drum Kit libraries as they are derived from other libraries and beat machines. We wanted to do something special, yet we wanted to sound contemporary and cater to new Hip hop, Trap, EDM composers, producers and bring an extra flavour to their music. So we went to India and recorded some amazing sounds of Indian Percussion with some of the top musicians of bollywood. All these sounds were then treated with outboard EQs and Compressors to make them sound even more punchy in the context of todays music. *1200 one shot drum sounds organized in to 100 Kits (2.5 GB) in the plugin and also contain 1200 wav files for you to load in your hardware and other software samplers. Kicks, snares , hats , cymbals and Indian percussion. 100 kits of Bollywood , Bhangra , TRAP , EDM , HipHop, Organic. Built in reverb , release , attack & pitch controls. 1200 one shot was files also included. ← T. Rex 606 Free VST Download ← Happy Black Friday!